A great amount of WordPress plugins is there. Some are free, some are paid. Some work just basic, some are outstandingly advanced. Some are very popular, some are under the shadow of popular ones. We are going to tell you about the best WordPress plugins, which are free, advanced, very popular, and are utmost useful for WordPress powered websites. Here at Templatetoaster WordPress website builder, check out the best WordPress plugins! Yoast SEO helps optimizing a website to gain better search engine ranking. This is a top-notch SEO plugin, which you can download for free from the WordPress plugin directory. It enables the user to write meta title, meta description and meta robot tags (index/no-index, follow/no-follow) for the blog posts, pages, categories, tags, and archives of the website, which is a good SEO practice. It also helps the user to set the search engine friendly permalinks for the website. Additional important feature of Yoast is automatic Page Analysis. The Yoast analyses the page and tells the user what improvements are required to do for streamlining the page. W3 Total Cache is used for improving the performance of the website by caching it. There are several cache plugins that do the same job, but the W3Total Cache is the most advanced out of them. This plugin provides several options to control different aspects of website caching, like, browser caching, page caching, object caching, database caching. And, also provides the support for various content delivery networks. If you are not having great knowledge about caching techniques, you can go with the default settings of this plugin. Otherwise, you can custom configure each aspect of the web caching. In one of our earlier blog posts, we have discussed about 5 best WordPress plugins for website security. Wordfence is on the top of those security plugins. It works exceptionally for providing protection from hackers and malware attacks to a website. The most appreciated feature of Wordfence is real time blocking. The real time blocking ensures that a hacker will be automatically blocked for all the Wordfence secured websites. You will also find the firewall settings for keeping fake Google bots and malicious scan off your website. The administrator can see real time traffic on the website for staying informed about user activity and whether the user is a human or a robot. Comment Spam is a very common problem encountered by blogs. The WordPress has its own mechanism to provide protection to your blog, but that’s not enough. The Akismet has advanced mechanism to protect blogs and websites from Spam. The interesting thing is that, WordPress users never have to download and install this plugin manually, but it comes already installed with the WordPress package. WooCommerce is one of the best WordPress plugins for e-Commerce. You can easily make an online store using WordPress and WooCommerce combination. And, extend the store anytime with the help of add-ons. The WooCommerce allows you to implement tax rules of any country, manage coupons and discounts, see the sales report on the dashboard itself, add multiple payment gateways, cross-sell and up-sell the products, enable multiple shipment methods, leverage the shipment tracking, and do many more things. UpdraftPlus is a backup plugin. It creates and save the backup of your website on your preferred location, as per the schedule you set. You can save the backup on your computer as well as on cloud. It allows to separately run the backup schedule for database and files. It also works as a site duplicator, so you can copy the site and move to other location. The editing option provided by the WordPress are very limited. The Tiny MCE Advanced plugin adds more editing and formatting options in the default WordPress editor, thereby, enriches the default WordPress editor for faster and better editing. TinyMCE advanced enables to use custom font families and font sizes, create and edit tables in the posts, search and replace the words, use subscript and superscript, use letters for lists, insert date and time in one click, and more. The contact form 7 is a well liked plugin for adding a contact form in WordPress websites. You can easily create multiple and multi-type contact forms with its user friendly interface. By multi-type, we mean that you can create query form, quotation form, lead-capture form, or a feed back form with the Contact Form 7. Features Ajax powered submission, the contact form 7 even supports CAPTCHA and Akismet Spam filtering. Adding an image in a WordPress post and a page is very simple. But, adding an image in the sidebar, header, and footer is not very simple. One needs to write the HTML for this. In such a case the Image Widget comes into its own. It allows to add an image in any widget area with ease. It allows the user to set the title, alt text and a caption, alignment and a link on the image. Also, allows to select the size of image. This plugin is on top of the best WordPress plugins to add social media share and follow buttons in a website. It has support for more than 100 social websites. It also gives an option to show the share and follow counts with the icons. Plus, you have the option of floating buttons. Not only share and follow, but, it even allows to save and email your posts and pages. Above all, it doesn’t hinder the loading of website by loading asynchronously with the web pages. This plugin is used for making interactive image galleries and albums. It is useful for creating portfolio and photography websites. You can create standard as well as Instagram galleries with this plugin. To let you prevent your images from being stolen or used anonymously, It also provides the option set the watermarks or advertisement on the images. Want to display your popular posts with thumbnails? This is a go to plugin for doing that. You can display your popular posts in any widget area of your site. The popular posts can be filtered according to number of comments or according to the views. Plus, view count and comment count can also be shown with the posts. Also, you can opt to display post excerpt. A WordPress blog always requires a functionality to send newsletters to the subscribed users. This plugin helps the user to automatically send out emails with SMTP support. It features unlimited subscriptions and emails with tracking. With single or double opt-in feature, you can display subscription form in any widget area. It allows to upload your logo and configure social media profiles in the emails. Also, it offers some customizable email templates for helping you in designing the interactive newsletters/emails. It lets you customize subscriber preferences so that you can better run your email campaign. This is a go to plugin for giving the search facility to the site visitors. This plugin allows to make custom settings like, order of search results, exclusion of specific categories and tags from search results, search terms highlighting in results, synonym searching etc. Apart from these, the Relevanssi features “fuzzy matching”. Here you can know about Relevanssi and other best WordPress plugins for search. You can easily add a responsive Google map in your website with this plugin. It supports Google map streetview and allows to include polylines/routes in map too. More features include store locater functionality with country filter, ability to add polygons, auto-complete, transport layer, weather layer, etc. Apart from these features, it allows to determine the look and feel of the map from the 6 inbuilt options of map theme. 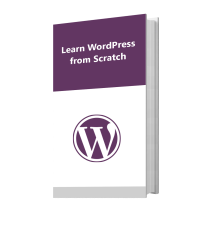 The WordPress codex defines some guidelines and rules for developing themes. A theme must follow those guidelines and rules to get submitted in WordPress.org. 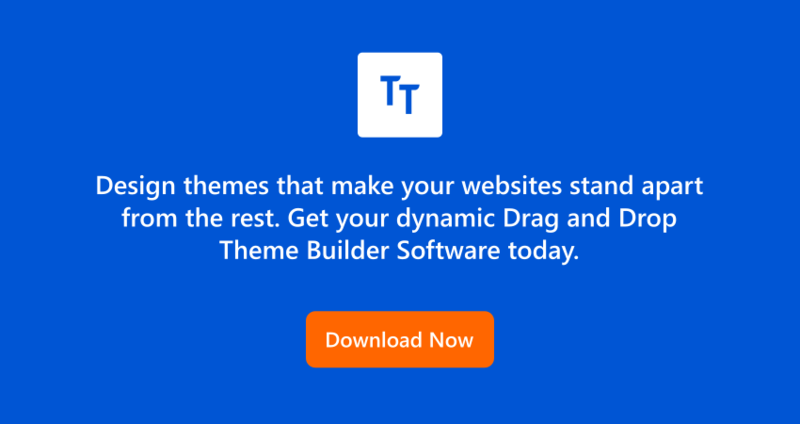 This plugin is used by the developers for making sure that their themes follow standards of WordPress codex. We have covered every aspect of a website to put the best WordPress plugins for you. We started with the plugin, which is needed immediately as the development of the website get \s completed, i.e. search engine optimization.Then, we covered the security, comment spam protection, backup and restoration, social media connectivity, e Commerce, subscriptions, editing and formatting of posts/pages, map, search functionality, sidebar/widget-area of the website. Do tell us if you use any of these plugins for your blog or website. We hope to receive sought after feedback of yours. You can also suggest us yours favorite plugins, which you missed in our list.